Compete and Quantcast have now released their latest data about the traffic on Facebook, MySpace, and Twitter for December. According to Compete’s report, twitter.com’s US traffic reached 22.81 million unique visitors in December, up 1.45% from November. This is still below its peak in June. MySpace continued to drop, slowing to 49.33 million unique visitors, while Facebook reached 132.13 million unique visitors in December, up from 128 million in November. This led to a number of blogs repeating the refrain: Facebook grows, MySpace shrinks, and Twitter stalls. Is that the case? As we all know quite well, Twitter.com is only a fraction of total Twitter activity. To say emphatically that if Twitter.com stalls, the service stalls, is the height of ignorance. It is difficult to find reliable statistics measuring Twitter client traffic. 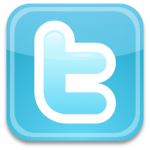 TweetStats analyzes just over one million of the 27 million tweets produced daily. The selected tweets are fed by Gnip, so one cannot fully assess the statistical quality of the sample, but we can assume that they are quasi-random. TweetStats shows that twitter.com is used for a third of the traffic, leaving two thirds fully unaccounted for in the Compete and Quantcast reports. Data produced from Twitstat shows that twitter.com captures 19.32% of the users, and generates 19.72% of the tweets, down by about 1% from November. In short, Twitter.com’s share decreased, and the overall Twitter usage increased via 3rd party applications. The same data shows TweetDeck and Tweetie posting solid numbers, but more interestingly, it shows two fast-growing clients: HootSuite and FourSquare. Hootsuite aims at professionals –marketing, search, communication, PR; FourSquare is the mobile app that lures you and people around you into a game on their platform. This is good news for Twitter; it shows that businesses are getting serious about Twitter, right when the startup is ready to offer paying services for higher volume users and in-depth analytics. 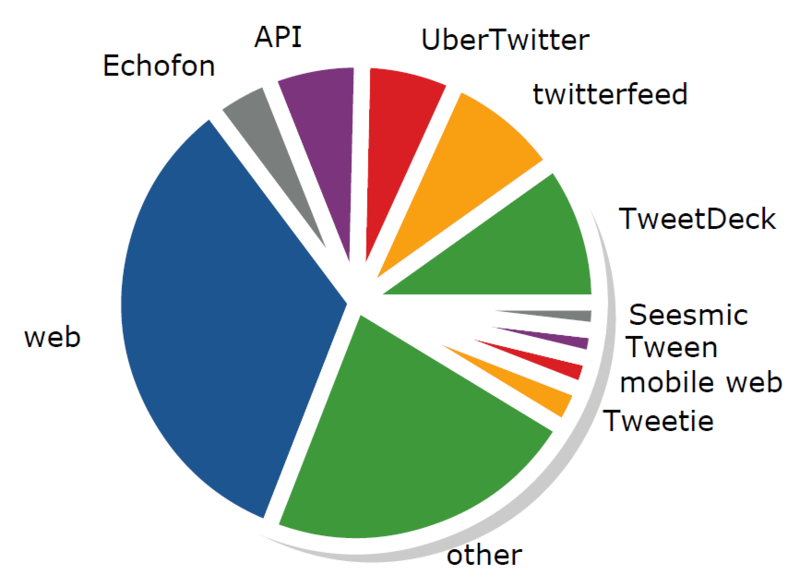 It also shows that users respond very positively to Twitter apps on mobile. Mobile is the future of Twitter, with its money-making opportunities via tailored push services, referring and analysis, search, and ads. Facebook did not reach 350 millions active users and 132 million unique monthly visitors right away. Facebook started in February 2004. In June 2006, MySpace became the most popular social networking site in the US. 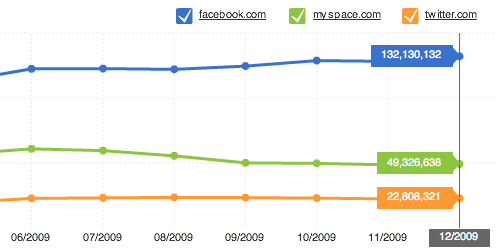 In April 2008, Facebook overtook MySpace. In the past 18 months Facebook grew tremendously because it somehow reached a critical mass, after which everybody wanted to be part of it. Twitter experienced the same phenomenon, and it continues to grow, albeit at a much slower rate. Facebook does not subsume Twitter. The concept of “update” spreads from Twitter to Facebook to LinkedIn, but this will not make Twitter obsolete. Twitter’s modus operandi is different from Facebook and LinkedIn, because it is an asymmetric network that allows people to listen, express, and share without reciprocity. Also Twitter’s concise format is great for to-the-point info and recommendation-based grading. I am a user of Twitter, LinkedIn, and Facebook, and I use these services in a completely different way. Uptime and stability. Enough said. Lists are great, but where are the tools to easily build them? Nobody wants to build a list by adding users one by one. This is not rocket science. I want to copy, add/remove multiple items, merge, and intersect easily. Provide user search capabilities. I hate to have to visit 5 different sites to find experts that can answer my questions, or to find a community I can follow to be informed and/or educated on some subject. Ranking system. Anybody can buy 100,000 followers for a few bucks, isn’t that about time to provide some way of assessing the relevance of tweets and users by other means that the sheer number of followers? Twitter has been great for developing a rich eco-system with hundreds of clients to read and send tweets, as well as analyze, search, and manage tweets and users. But some consolidation would help factorizing the effort and would result in a much better user experience, which can only appeal to the non-geeky, non-professional, mainstream user. It is time for Twitter to shake up and go to the next step. 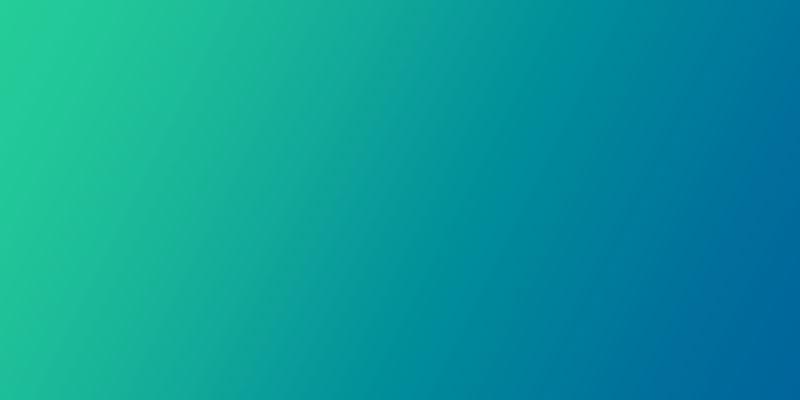 Read next: Get Your Pip.Io Invite Here - While They Last!